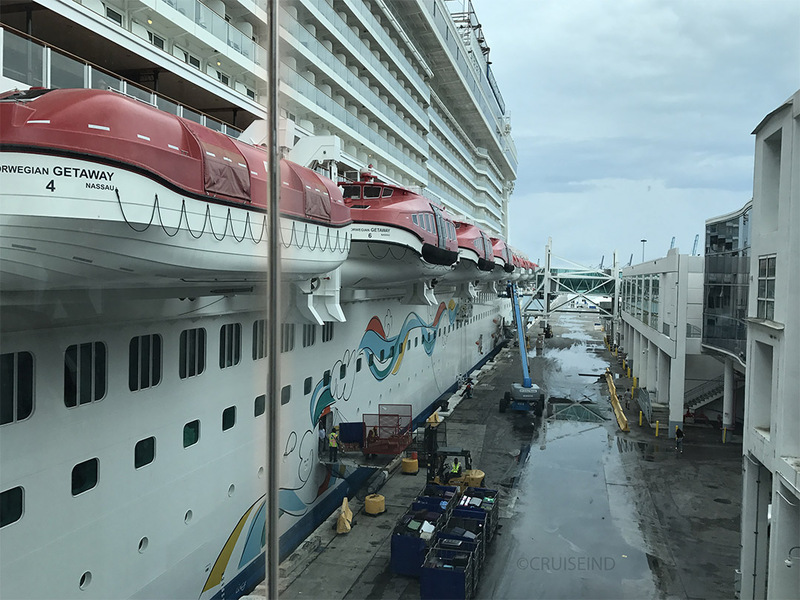 I had the opportunity last month to board the Norwegian Getaway for a quick tour so I could document it for CruiseInd. 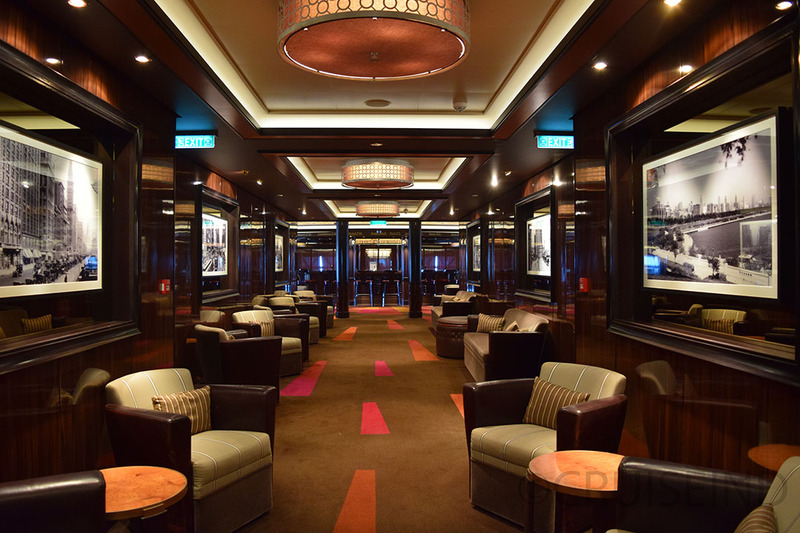 This review will encompass the public areas and select cabins. 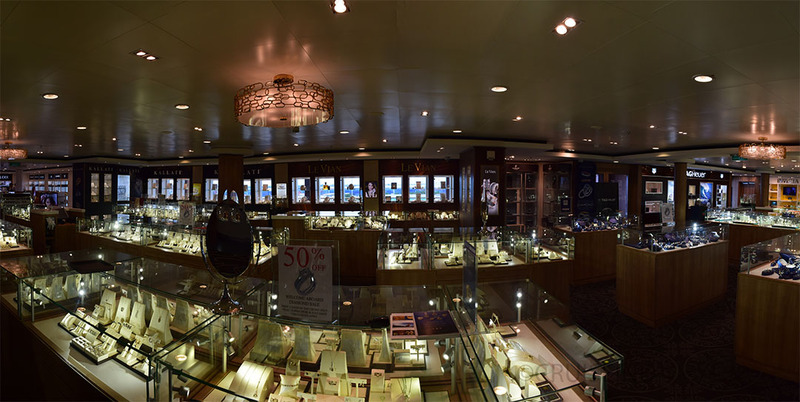 It will consist of high-res photos and panoramas. 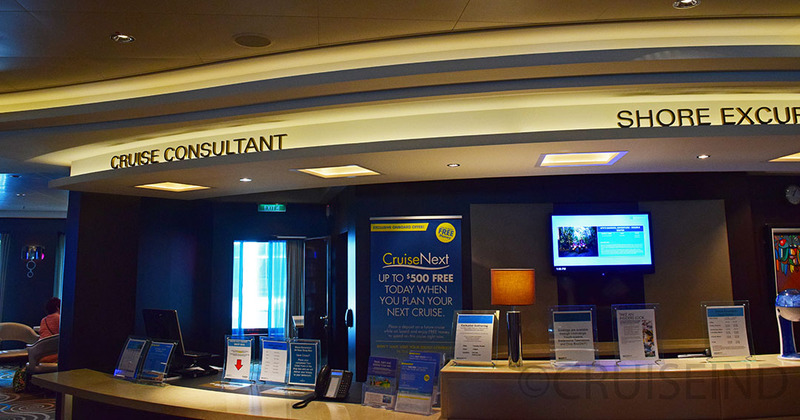 I boarded the ship on Sunday March 12th while she was in between cruises docked in Miami. 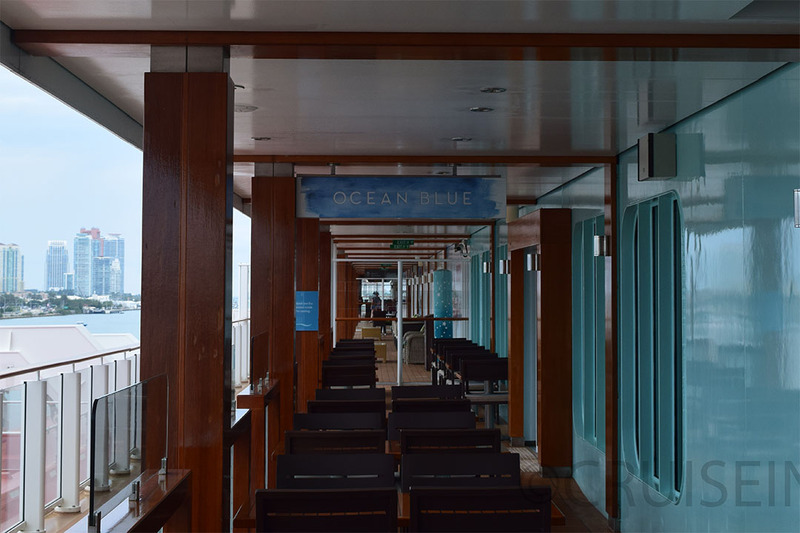 The public areas start on deck 05. 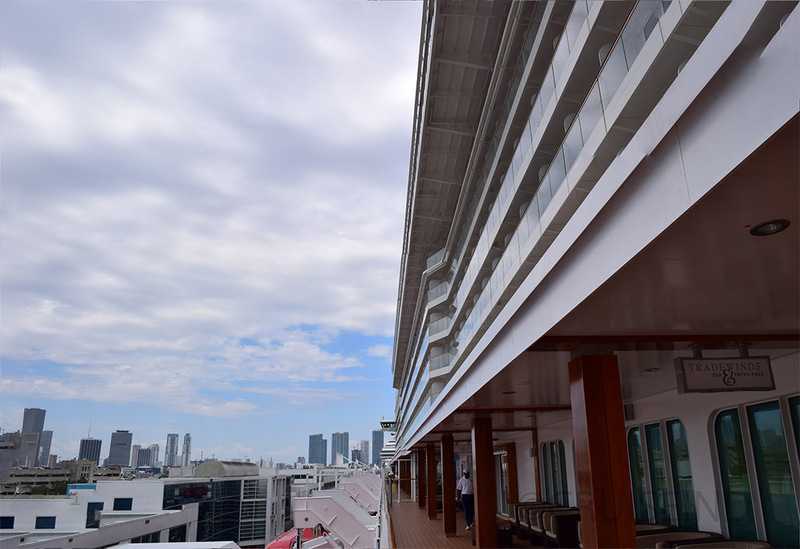 This deck contains inside and outside cabins. The medical center is here also. 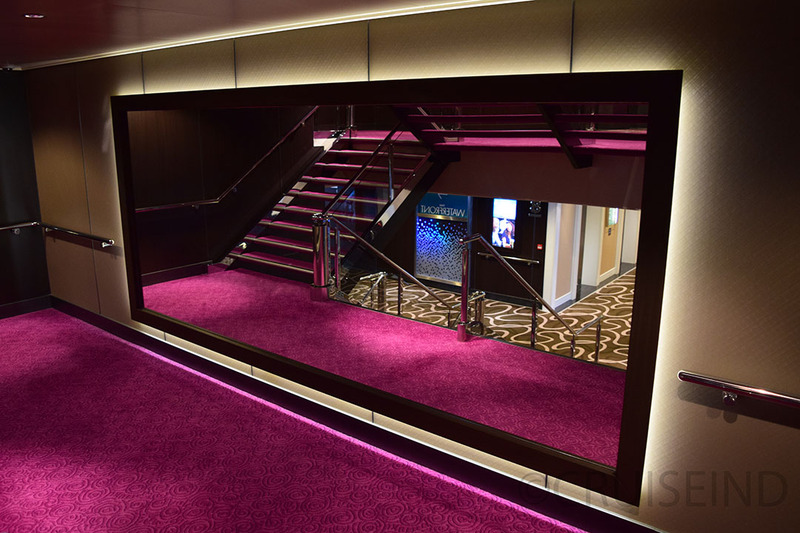 At the very front of the deck is the bottom level of the main theater which is only accessible from the deck above. Just behind that is the steampunk themed Illusionarium. For an additional fee you get dinner and a show. 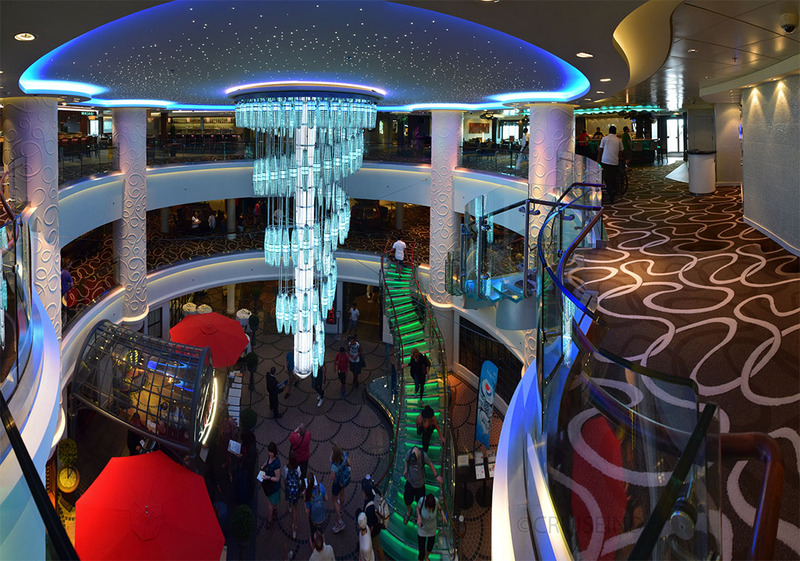 Then there’s one of two main atriums. 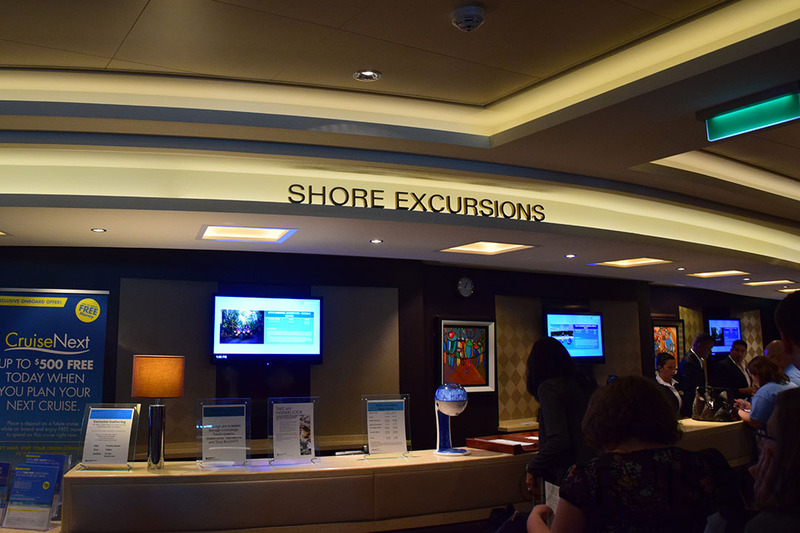 Surrounding the atrium at the base is the guest services and shore excursions desks. 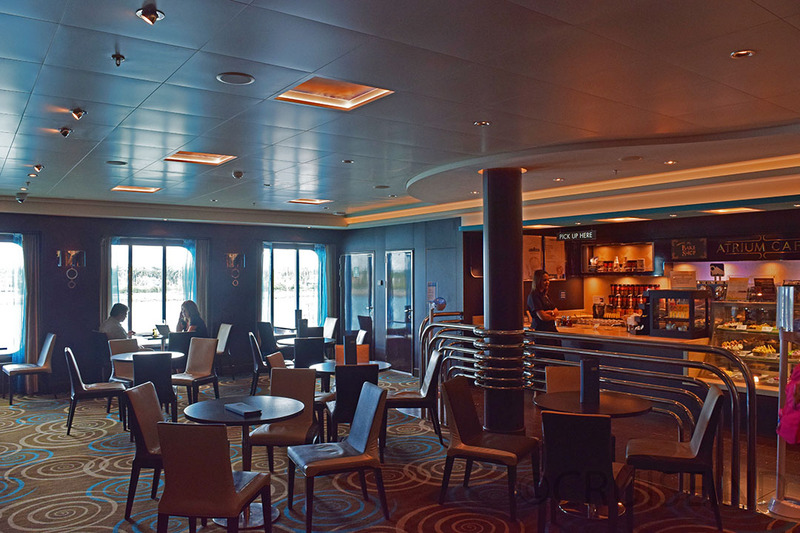 There also a bar and a cafe there as well. 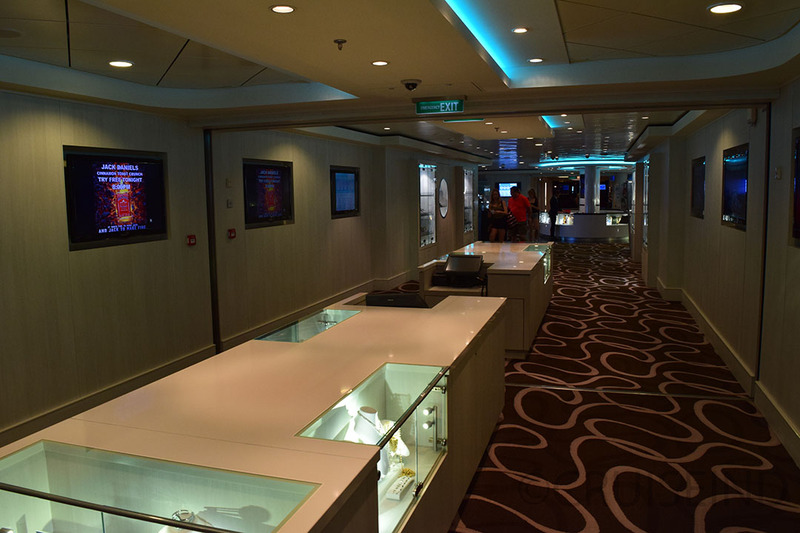 As we walk aft there’s an art gallery in the hallway. 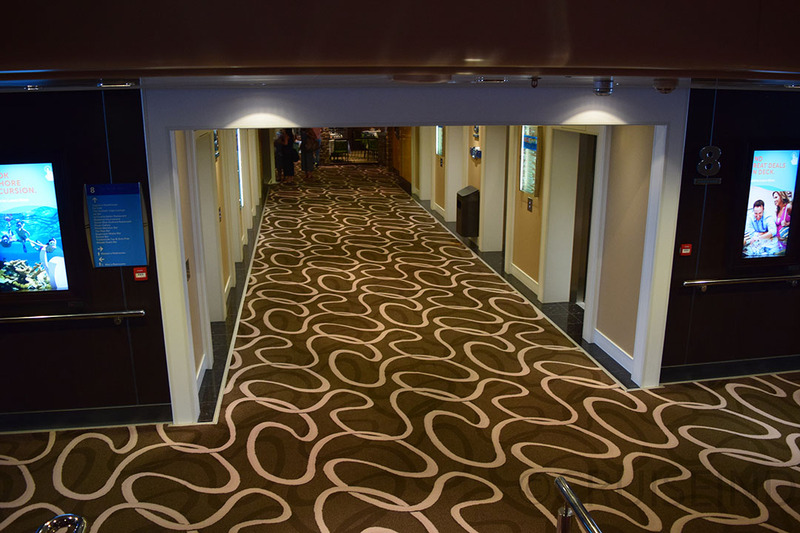 After walking through that you emerge at the bottom floor of the larger second atrium. 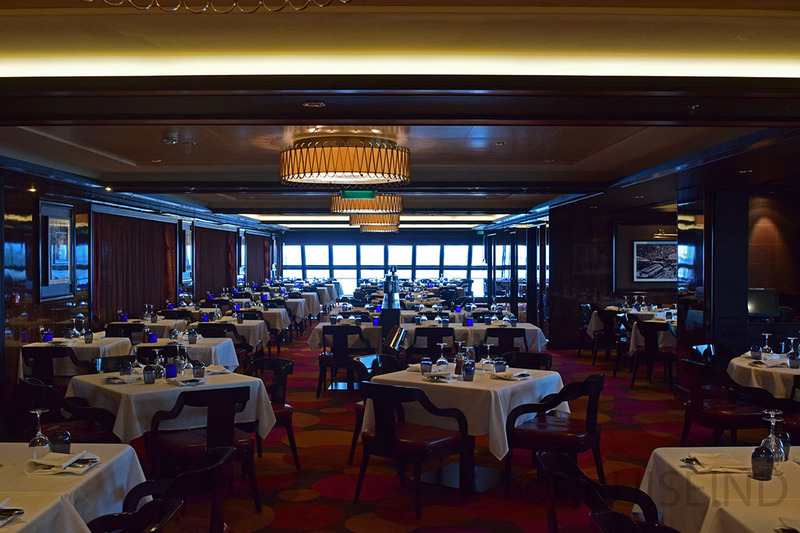 Their upscale french restaurant Le Bistro is also located here. 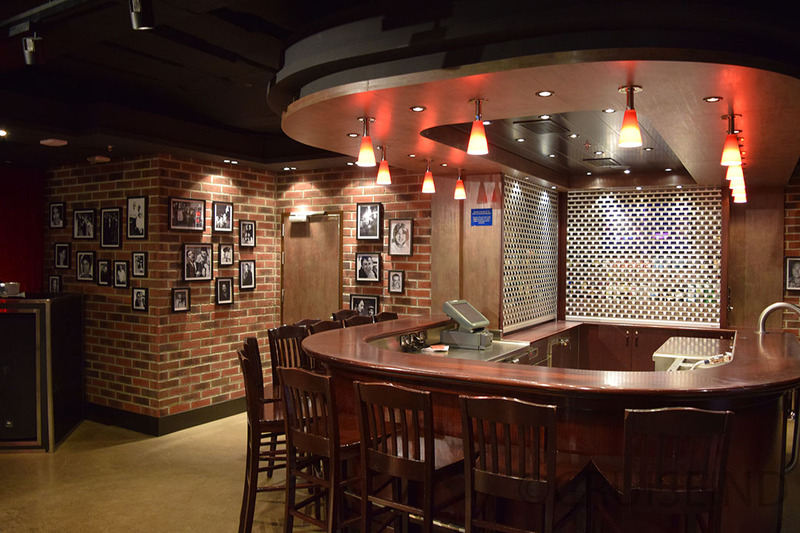 This is where Headliners comedy club is located. 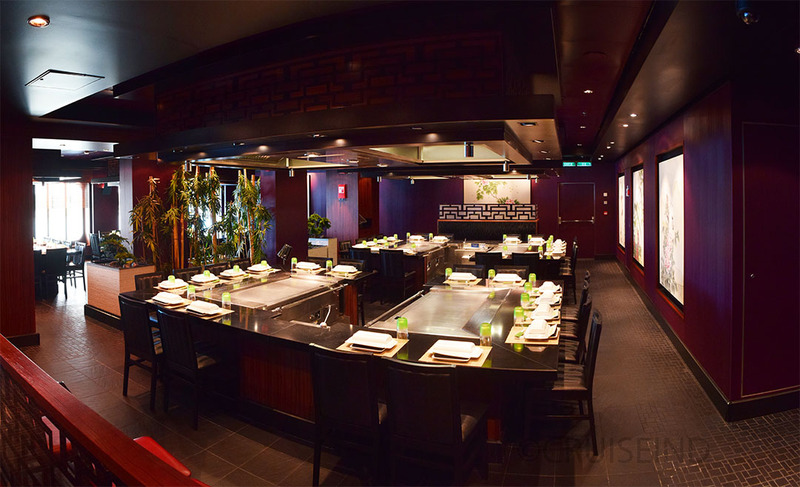 Just past that is the Japanese Teppanyaki restaurant. 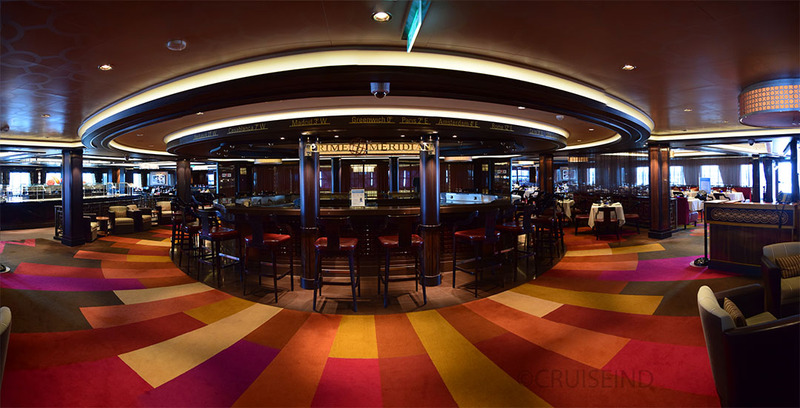 At the end of the deck are two restaurants. There’s also the Mixx Bar that’s wedged in between them. 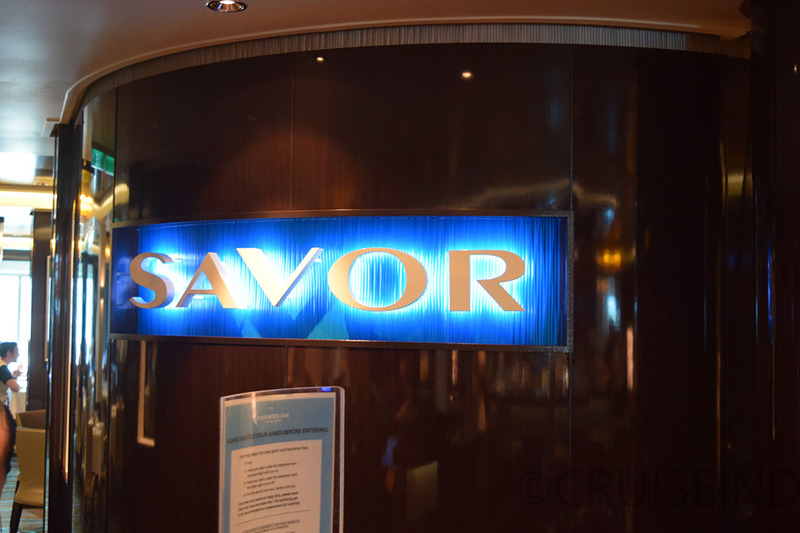 On the port side is Savor restaurant. 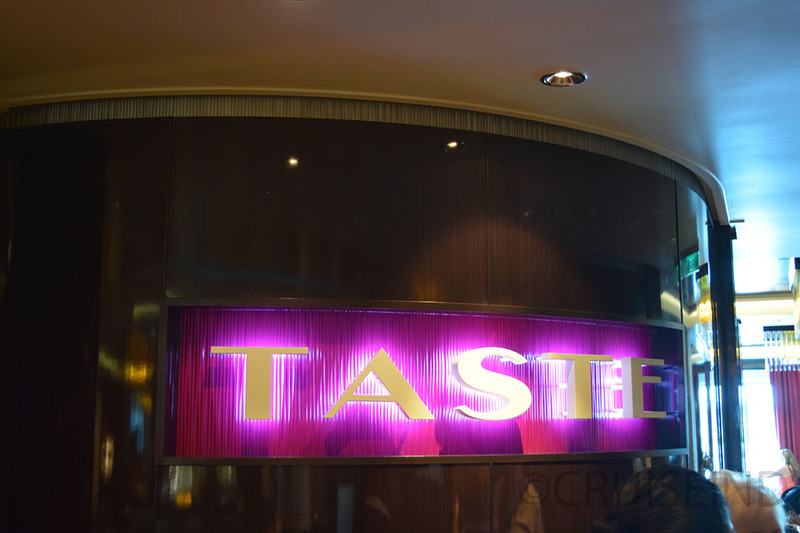 On starboard is Taste restaurant. 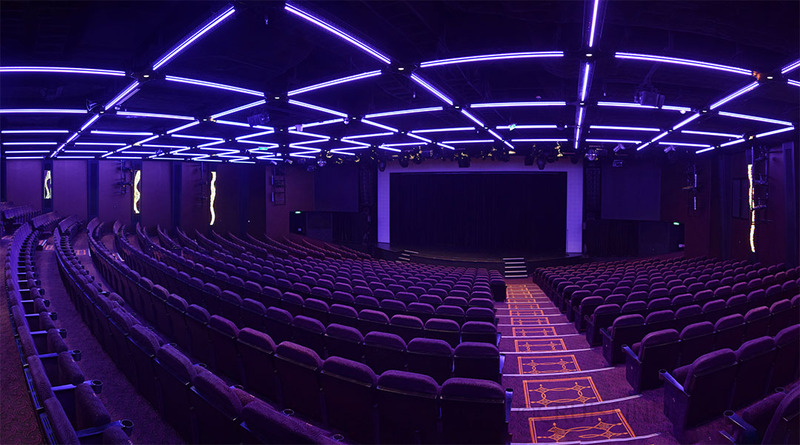 At the very front is the Getaway Theater. Just behind that is the second floor of the first atrium. 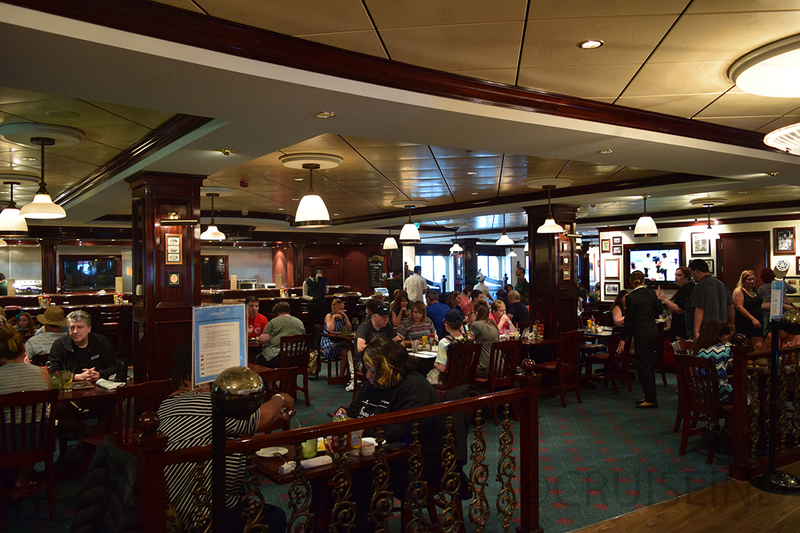 The onboard pub and grill, O’Sheehan’s, basically encircles it. 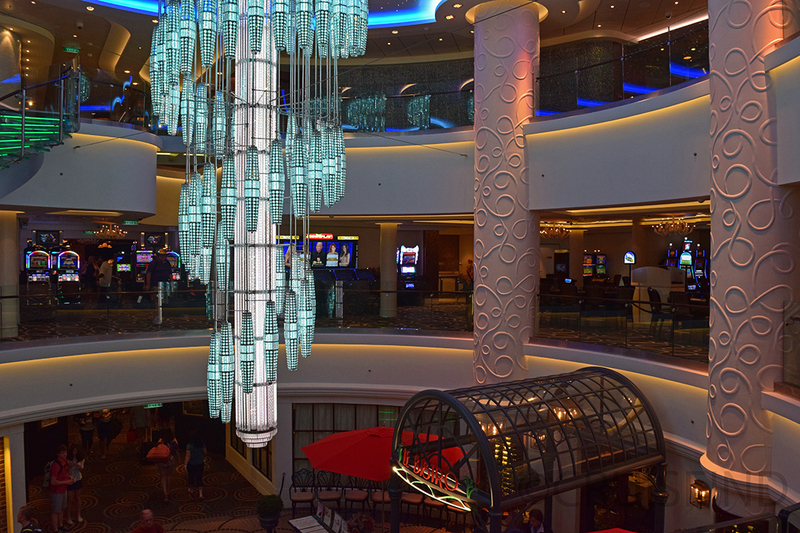 Walking past that to the second floor of the second atrium is the Casino. 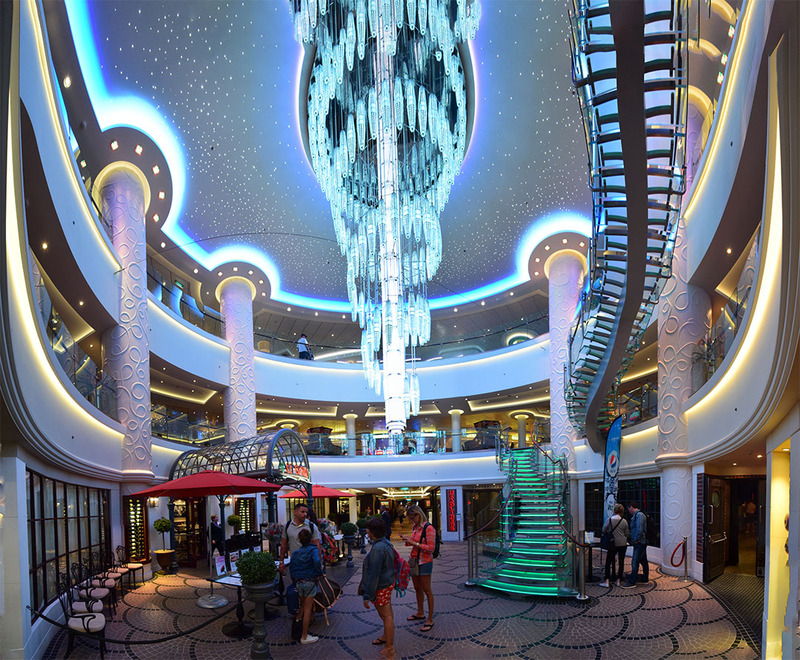 This also encircles this atrium and extends further back. 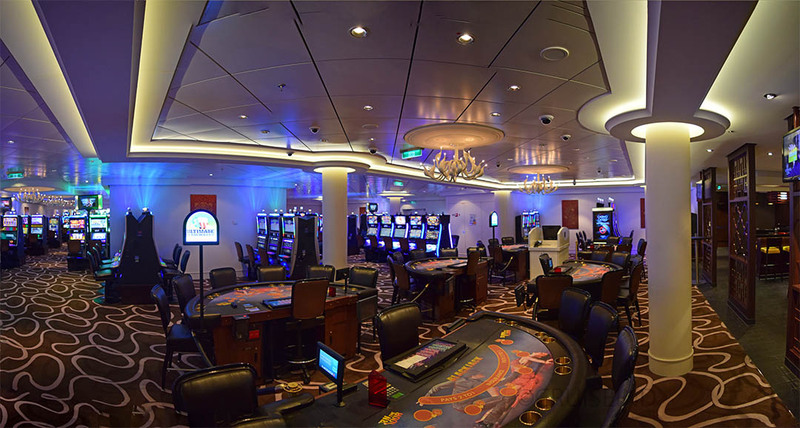 Just past the casino is the ship’s nightclub, the Bliss Ultra lounge. 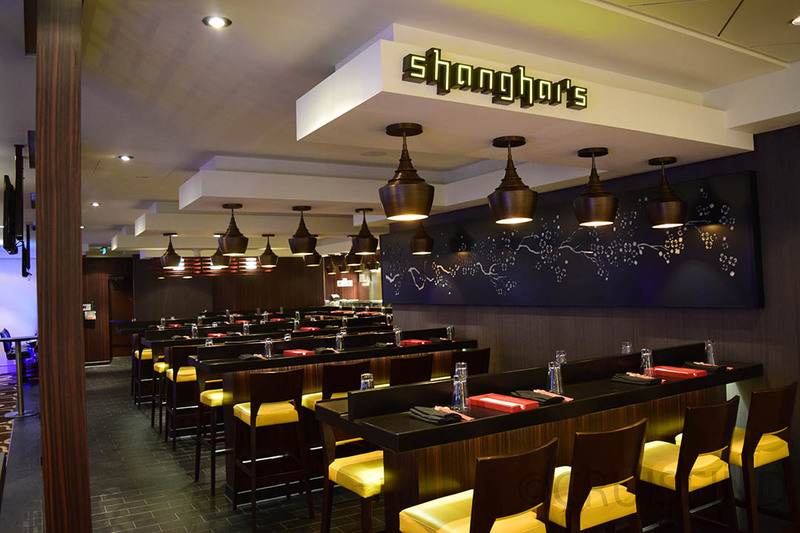 Opposite the nightclub is the Shanghai noodle bar. 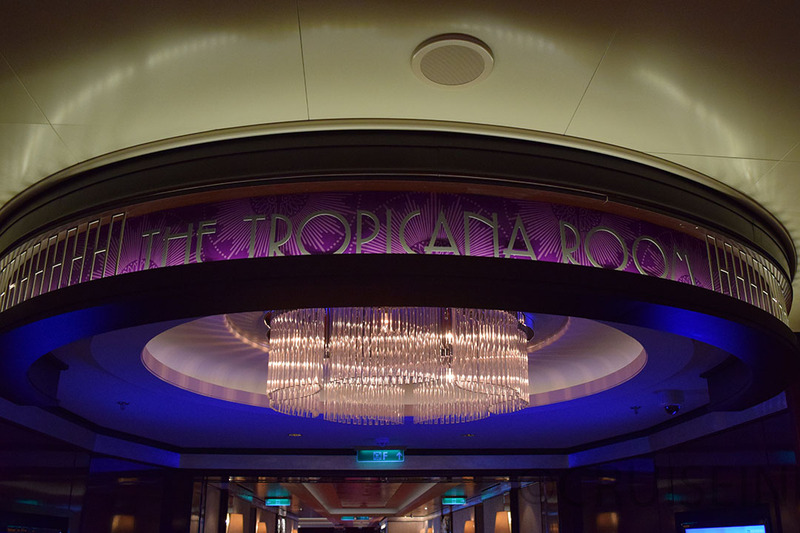 At the very end of the deck is the incredible Tropicana Room restaurant. 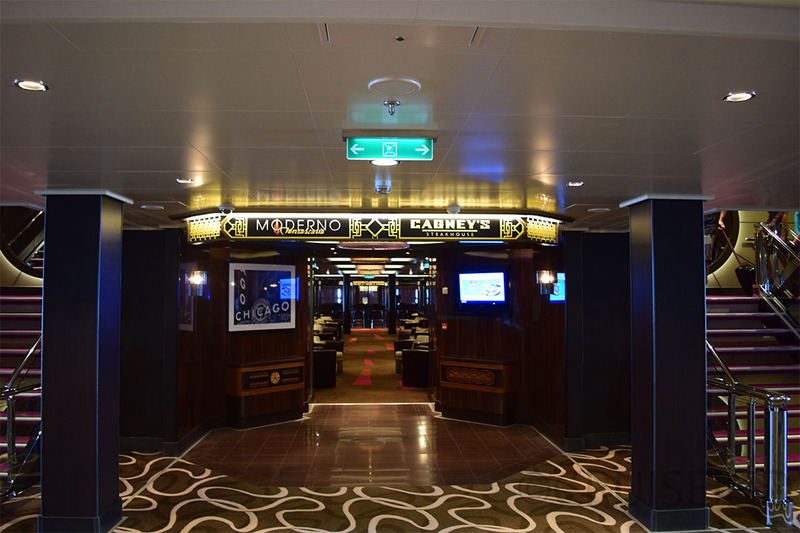 At the front of deck 8 are cabins. 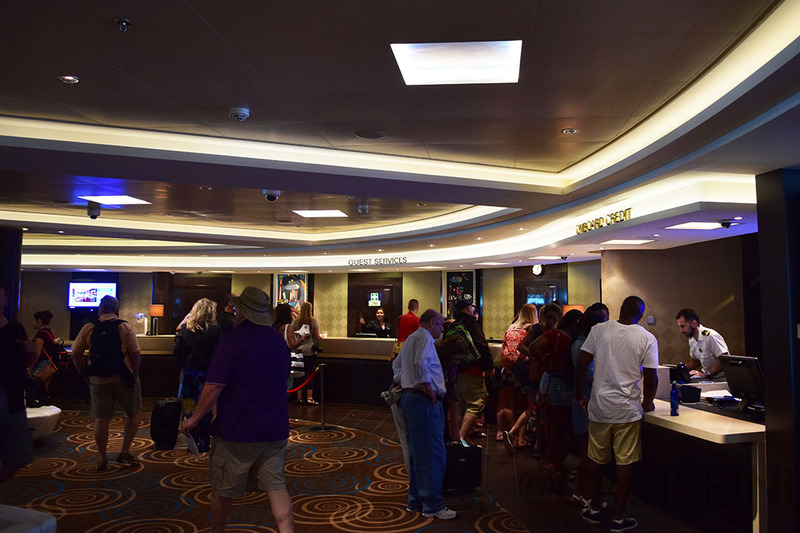 About a quarter of the way back, the Waterfront outside promenade starts. 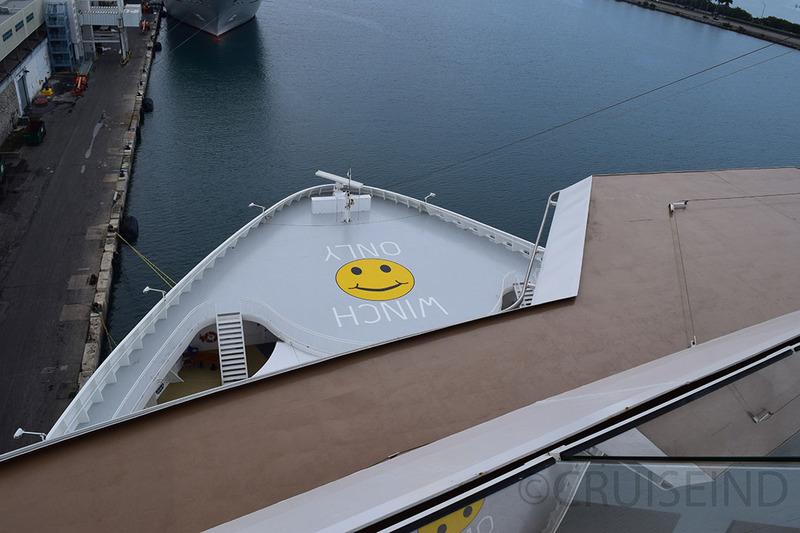 It’s directly above the lifeboats and sticks out from the side of the ship. 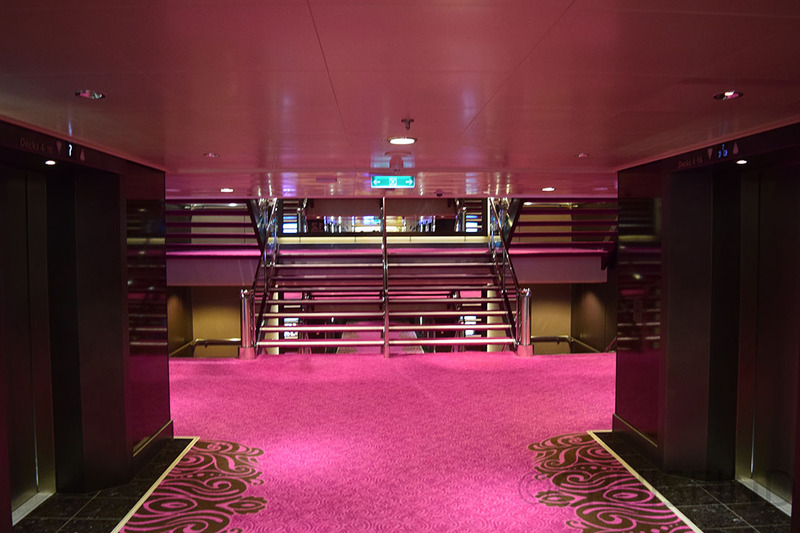 This creates an outdoor promenade where you can walk down the side, around the stern, and back up the opposite side. Just past the cabins in the front is the La Cucina Italian restaurant on the port side. 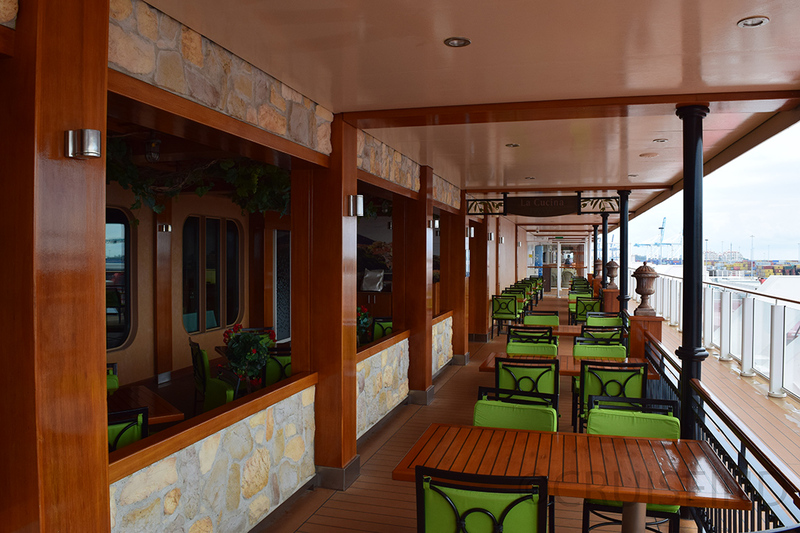 They also have an outdoor seating area for dining al fresco. 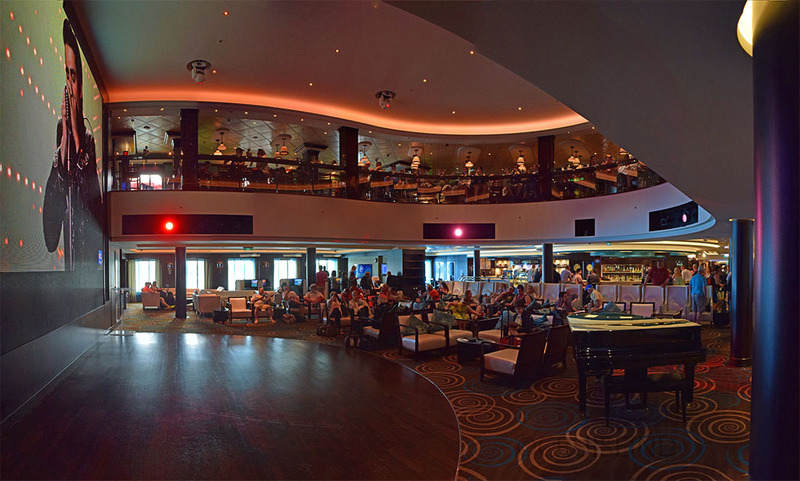 On the starboard side is the Grammy experience lounge. 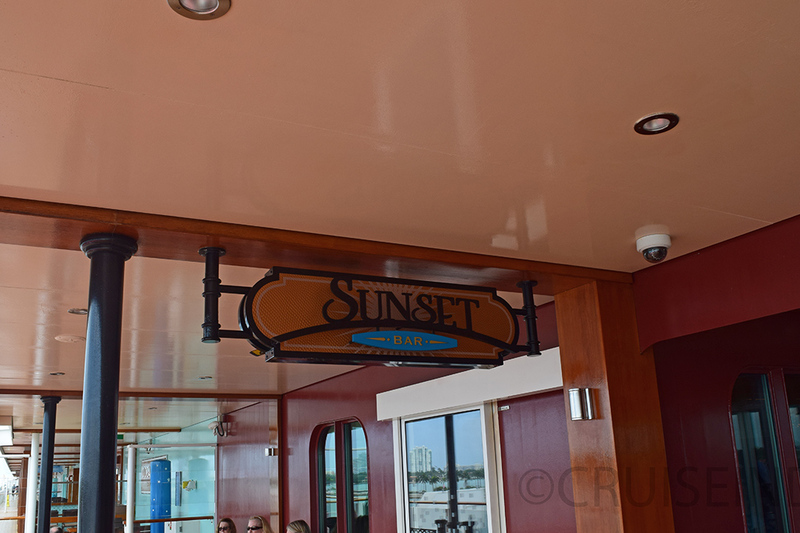 Right next to the Grammy Experience is the Sunset bar. There’s also an outdoor section. 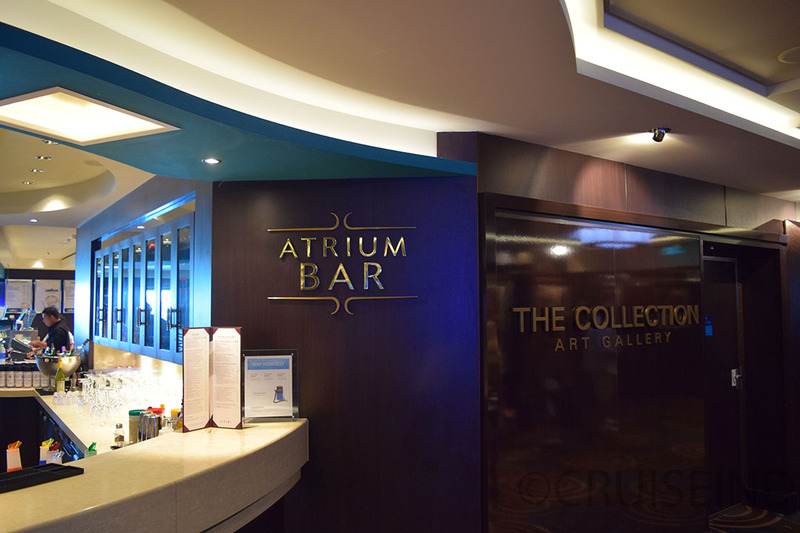 Past the bar is the top level of the aft atrium. 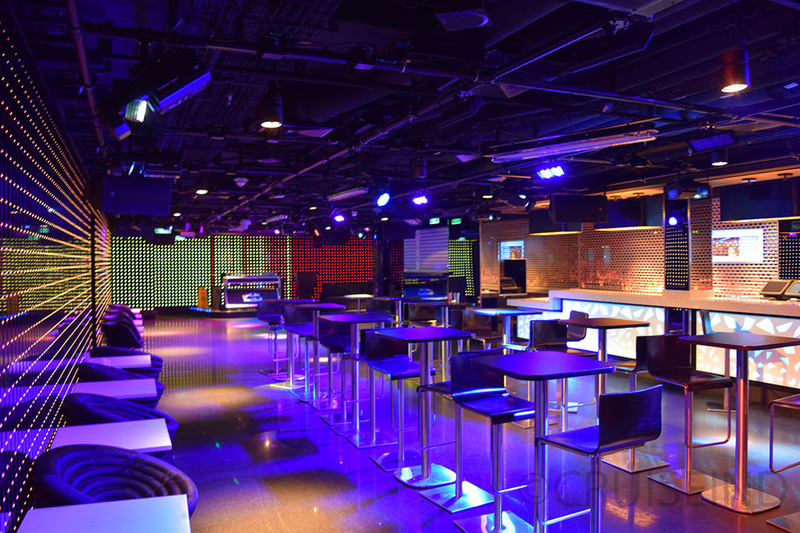 Around this area are several venues. 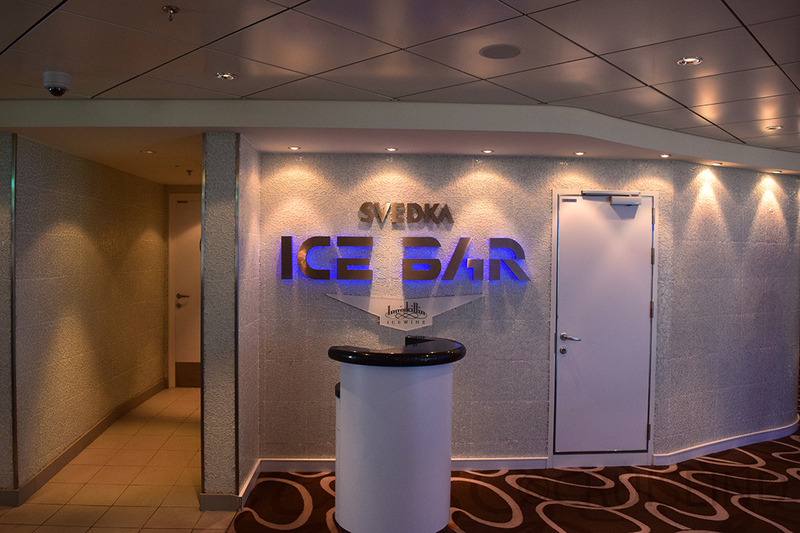 On the port side is the Svedka Ice Bar. 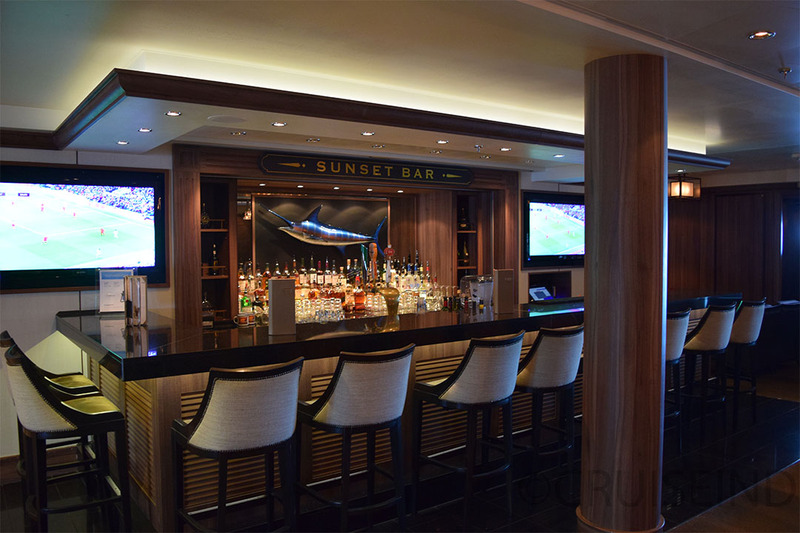 Just past that is the Sugarcane Mojito Bar. 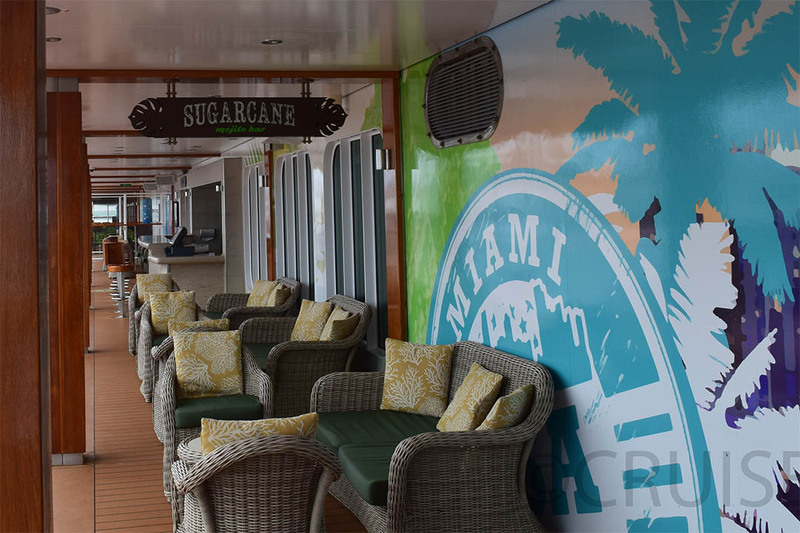 There’s also an outdoor area of Sugarcane’s. 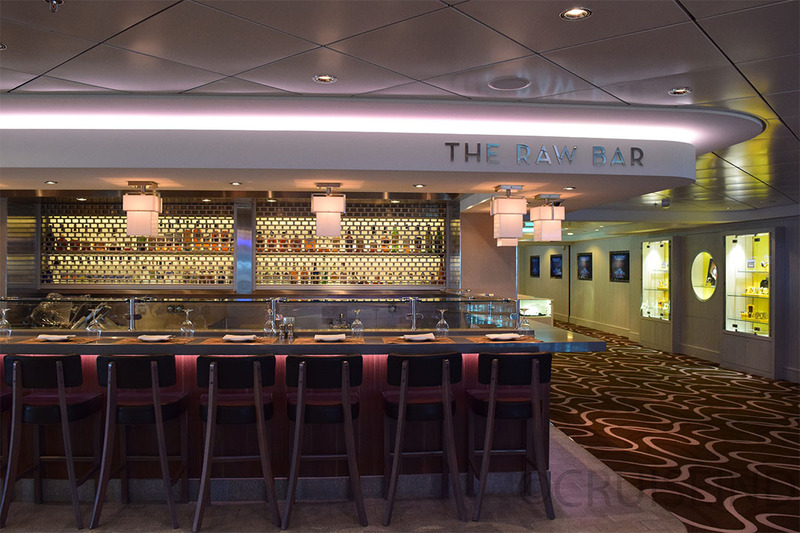 On the opposite side is the Raw Bar. 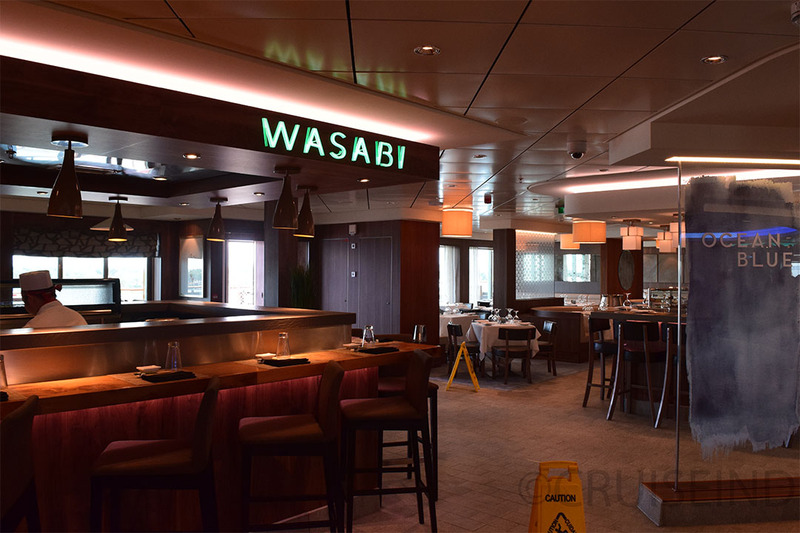 As well as Wasabi, the onboard sushi bar. 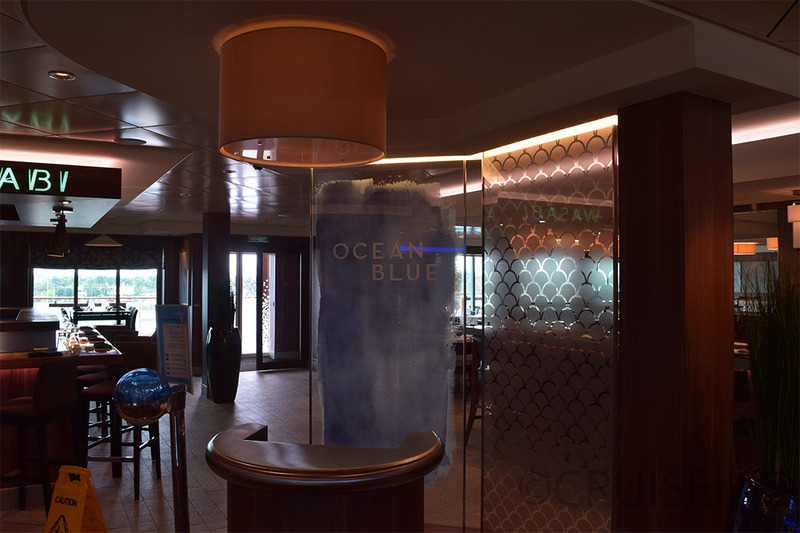 As well as chef Geoffrey Zakarian’s Ocean Blue. 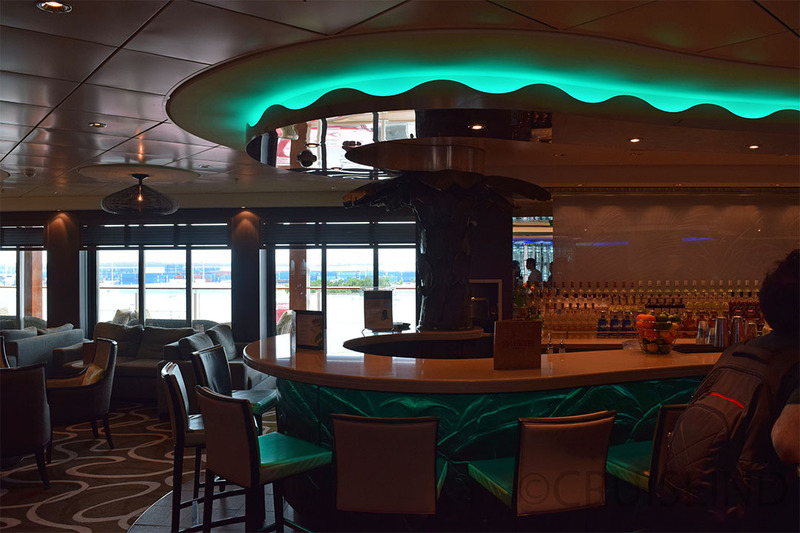 Ocean Blue has an outdoor seating area. 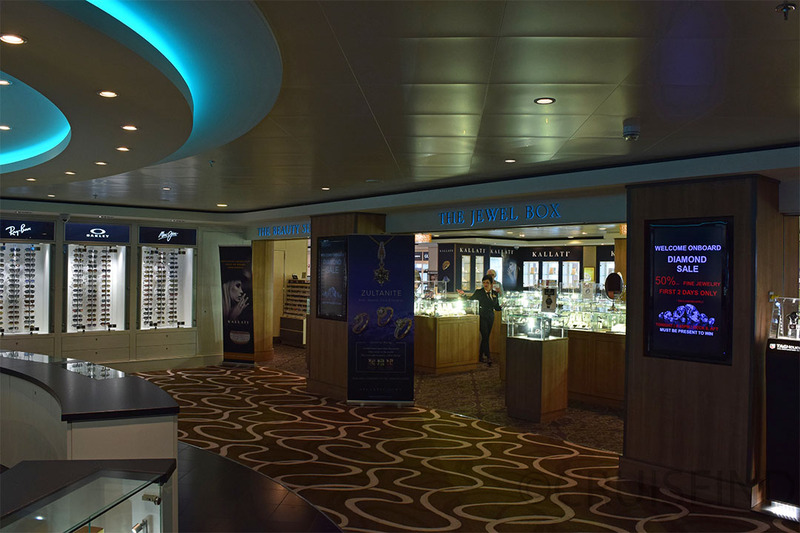 Back inside, once you exit the atrium area there are the onboard shops. 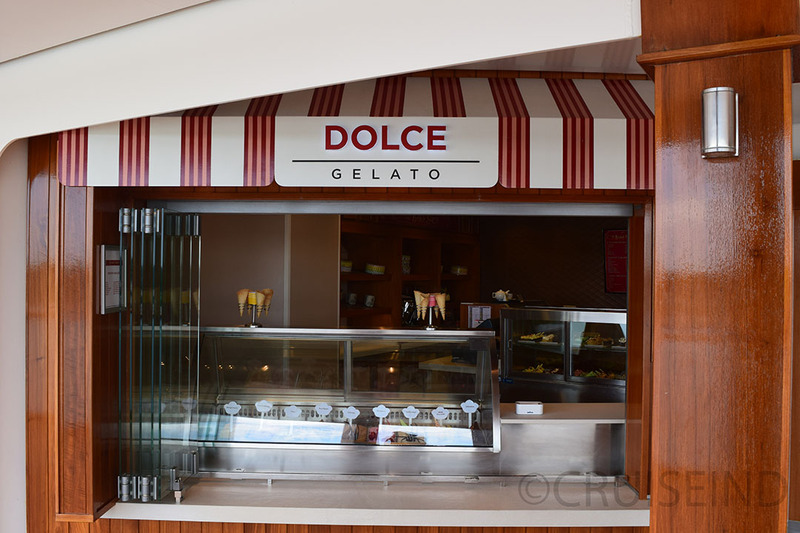 Past that area, wedged in on the starboard side, partially indoors and outdoors, is the onboard Gelato and bake shop. 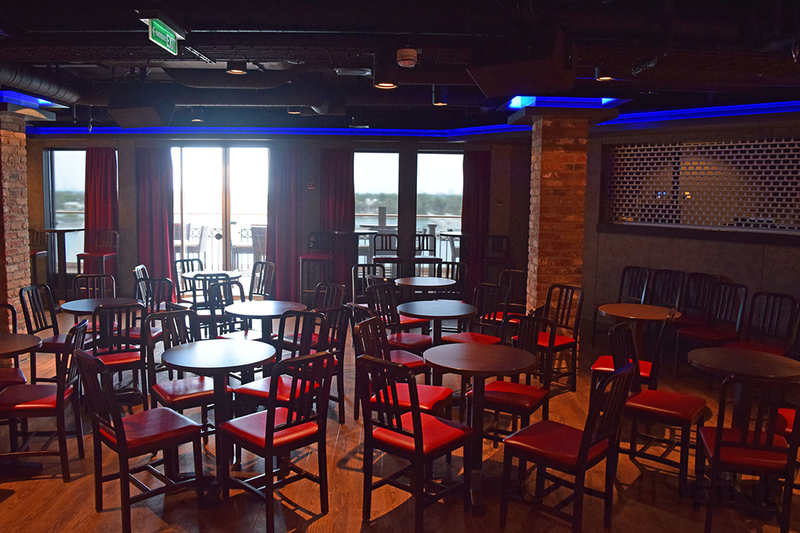 At the very back of the deck are two restaurants and a bar. 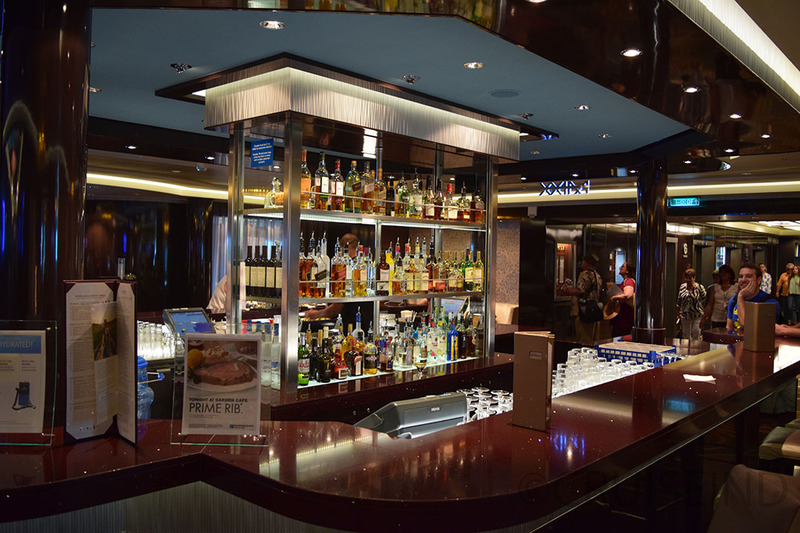 The Prime Meridian bar is in the center. 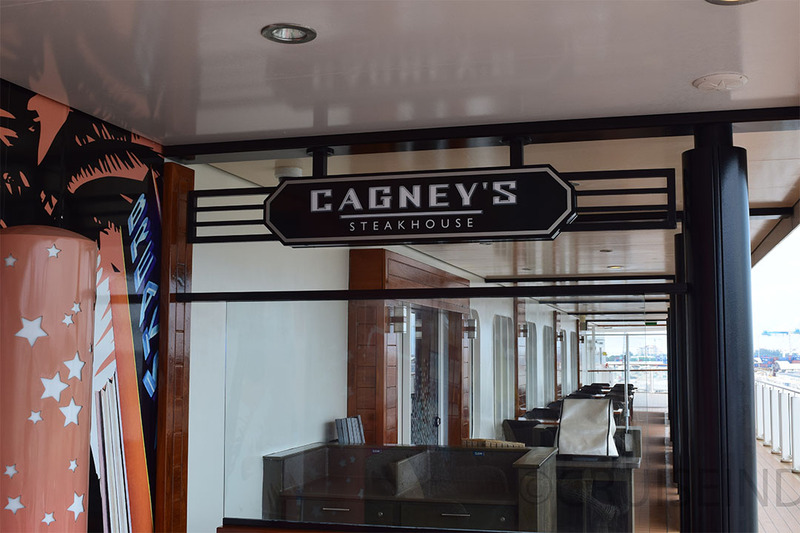 Just past that on the port side is NCL’s famous Cagney’s steakhouse. 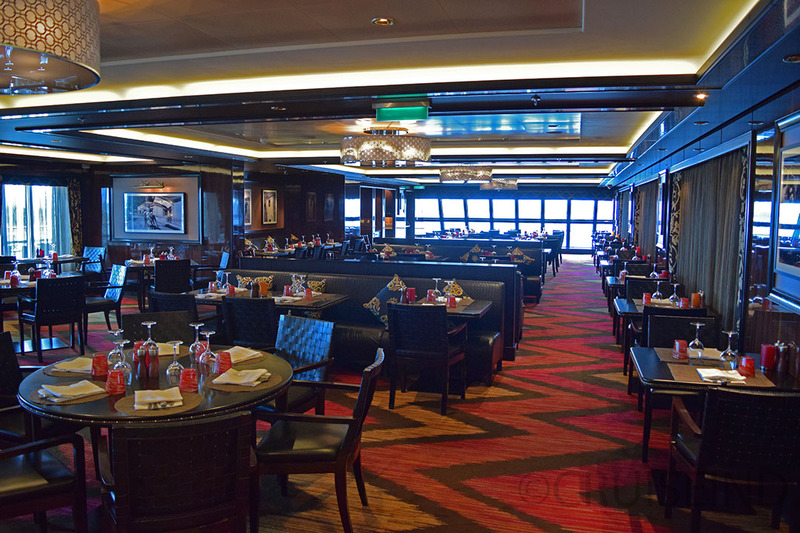 On the port side is Moderno Churrascaria. 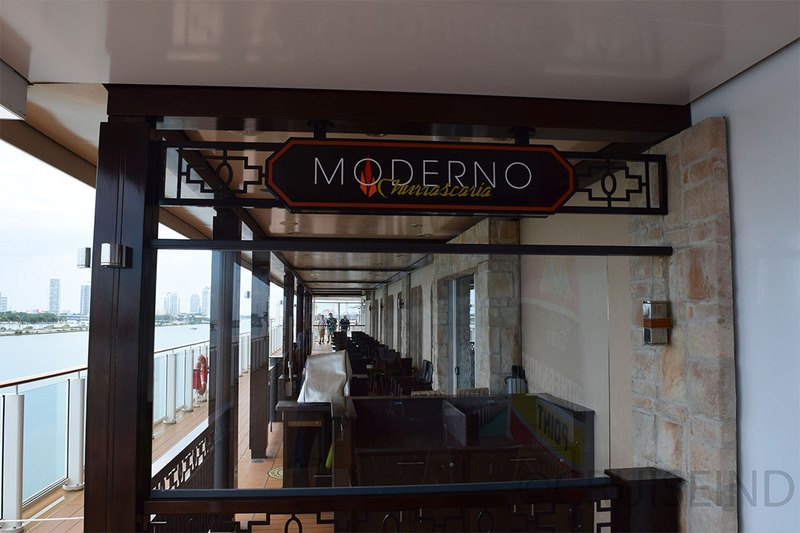 Moderno also has outdoor seating.